Venturing out to develop your own business is never an easy decision. There’s quite a bit of uncertainty and as humans we gravitate towards the safer or more comfortable option. When you want to develop a creative practice as a trainer or creativity coach, this decision can be infinitely more complex and difficult. After all you aren’t just dealing with your own creative core, but you must help others realize theirs as well. There is a real discipline required that can help you and the person you are training forge through the difficult road blocks ahead. When the shadows of self-doubt begin to creep into the picture, this discipline can help overcome any issues of negativity. Turning that negative energy into positive energy helps people connect to any truly successful creativity coach. Invariably you will encounter a case that’s more difficult than others, one that seems impossible to make progress on. When these cases arise, you must remember your role as a creative coach is one of nurturing support. By helping others realize their own self-worth and gain self-trust in your actions and directions, you can realize that the business of creative practices can be very rewarding as well. Through experience and increased workload, you can gain an increased sense of intuition and conversation. Over time you will be able to carefully guide your pupils without them even realizing it. This kind of genuine and authentic connection makes creativity coaching one of the more rewarding professions among mentor roles. 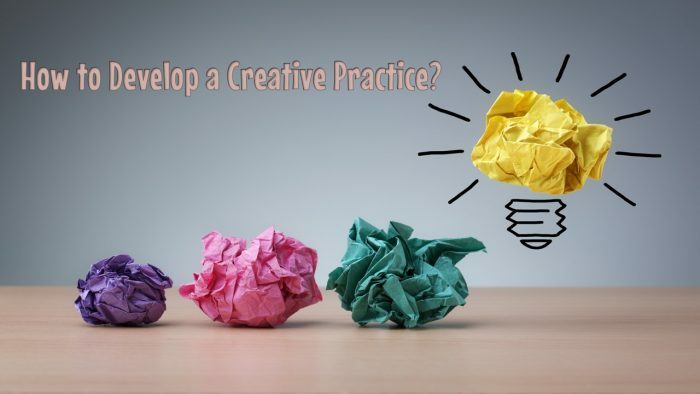 To succeed in your creative practice, this discipline can also develop into a daily routine. Coming up with new concepts and ways to unlock your own creativity can help you when it’s time to help others. Mental exercises can help you develop the reflexes and processes of your imagination. Try stepping out of your comfort zone, and try to switch between complex thoughts and filling your head with ideas, to complete silence and serene meditation. This diversity will help your mind adapt to any situation, and allow you to create when no inspiration seems evident. Indeed many scientists link the fact that the brain must first relax for a bit before the moment of discovery or revelation can occur. Break out of your skin and step outside of yourself to constantly push your bar of creativity higher. Without the capacity to create, there’s little chance you can create for others or show others to create for themselves. Use this practice to increase your mental dexterity and creativity, and watch your career as a creative coach soar. There are also creative process groups that help their members focus on any one specific concept of their overall problem, to unravel and unwind the path to success.